A vivid youthful colour. Full of bold vibrant ripe dark fruits, this is a seductive medium to full-bodied red that retains a mouth-watering freshness. Not a keeper but excellent now. We drank it with chicken thighs baked with herby tomatoes and peppers. 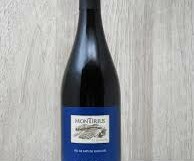 Montirius produce some of the finest wines of Vacqueyras and Gigondas in the southern Rhône. 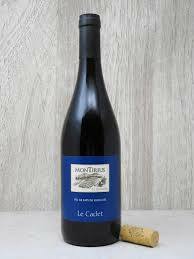 Le Cadet is the baby brother, a lighter more supple fruity wine that still packs a punch, and offers great value for money. 60% Grenache and 40% Syrah. Are cool reds finally catching on? Wine manager Ian Brosnan recently launched the Ely summer wine list, featuring a Cool Red page for the first time, offering customers the option of drinking these wines lightly chilled, or at room temperature. Drinking low temperature reds makes sense in hot weather but it isn’t just about the sun. We eat more salads, cold meats and seafood in the summer months, and all of these go so much better with a lightly chilled red wine. We tend to drink red wine a little too warm throughout the year (and white wine too cold). The oft-quoted “room temperature” refers to a Victorian room without any central heating, probably about 16-18 degrees. Lighter summery red wines are probably best at 10-15 degrees. An ice bucket is not necessary; an hour in the fridge is about right, remembering that your wine will warm up quickly once poured. Regular readers will know that I am a huge fan of Beaujolais, a region that has re-emerged in recent years. Beaujolais is the perfect summer wine. Most of the supermarkets seem to have to added a few to their selection, but for real excitement, ask your local off-licence or wine shop for single-estate wines. There are some thrilling wines. My own favourite is Domaine Vissoux (Terroirs, Donnybrook) but there are plenty more around. The best Beaujolais is light and fruity with no drying tannins on the finish. They make brilliant all-purpose food wines, with salmon or tuna, as well as chicken, pork and all sorts of charcuterie and cheese. The other great summer red is Loire Valley Cabernet Franc; they tend to be a bit more savoury, sometimes with peppery dry tannins, making them brilliant wines to drink with food, but occasionally a little austere on their own. This may explain why they aren’t more popular; given the increasing demand for light, low-alcohol wines, you would expect to find them everywhere, but few of the multiples seem to stock them. Marks & Spencer does have the excellent Plessis-Duval Saumur-Champigny (€15) and O’Briens the soft ripe Saint Nicolas de Bourgeuil (€16.95). Otherwise, check out your local wine shop. As part of their French wine sale, Lidl has a number of summery wines, including the lightly fruity Beaujolais Domaine de la Presse Fleurie (€10.99) and a very gluggable Bourgogne Pinot Noir 2017 (€9.99). I almost preferred the less expensive, very attractive, juicy Beaujolais 2016 (€13) from Marks & Spencer to its Fleurie (€17), but I would be happy to drink either. Elsewhere, Aldi has an attractive, easy-drinking Beaujolais 2016 for an amazing €7.99, perfect for large summer gatherings. Light rounded blackcurrant fruits with a smooth finish. An attractive multi-purpose wine to match with white meats, charcuterie and salmon. Summer parties on the patio. From Spain, a very attractive light juicy wine with crisp raspberry and red cherry fruits. 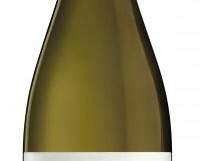 Good acidity and very refreshing; this would go nicely with grilled salmon, or mixed tapas. Light and juicy with vibrant red cherry fruits. 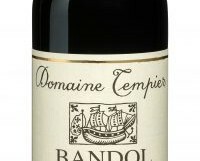 Some savoury refreshing tannins on the finish, making it the ideal partner for roast pork, pâtés and barbecued lamb kebabs. Stockists: Whelehans Wines, Loughlinstown, whelehanswines.ie; 64 Wine, Glasthule, 64wine.ie; Bradley’s Off-licence, Cork, bradleysofflicence.ie; Alex Findlater, Limerick; alexfindlaterandco.ie; Green Man Wines, Terenure, greenmanwines.ie. One of my favourite red wines so far this year; a Loire Cabernet Franc with an irresistible combination of delicate silky yet concentrated red fruits and gently refreshing acidity. Beautifully textured with nicely integrated tannins. Enjoy with pork dishes, a herby roast chicken or a baked ham. An exhilarating, sophisticated mix of concentrated rounded red apple fruits that fill the mouth, a subtle nuttiness and an intense saline, mineral backbone that adds real verve and attack. The combination of rich fruit and bracing acidity is unusual but fascinating. Not cheap but it compares favourably with a top white Burgundy, and is every bit as good. I would try this with crab, grilled black sole or a buttery salmon dish. I have written about Bolo and Louro before; As Sortes is the next step up the ladder in the wines of Rafael Palacios. One of the key figures in reviving the fortunes of the near extinct Godello vines in Valdeorras, Palacios gave a short but excellent master class in Dublin this week. I hope to get around to writing a full blog some time soon. In the meantime this wonderful wine, tasted at the master class. It is made from six small Sortes or plots of Godello, planted in the 1970’s. €51 from 64wines, Glasthule; Clontarf Wines; Green Man Wines, Terenure; The Corkscrew, Chatham St.